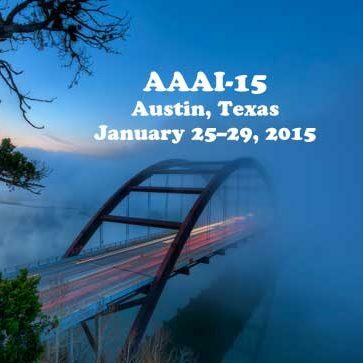 Here are some of my take-aways from the AAAI-15 artificial intelligence conference this year. How Far Has AI Come? Having come from some involvement in AI back in the 90’s, it is very interesting to note that there is a bit of AI here that looks a whole lot like AI did back then, especially in the domains that involve GOFAI (good old fashioned AI). Some of the work was probably not even what I would classify as AI, being more like either every day software engineering or incremental advances in optimization of complex problems. Many solutions still involve highly contrived problem spaces. Hinton Says: “GOFAI Yourself, Deep Learning is Here”. Geoffrey Hinton, who helped give birth to the back-propagation and Boltzmann machine neural networks as well as reinforcement learning, shared very compelling results coming from the connectionist camp and his latest contribution of “deep learning”. Deep learning is more or less the new buzz term for neural networks. It almost seemed like he was trying to start a nerd fight, basically proclaiming GOFAI a waste of time, especially with the beatdown it’s been taking from deep learning. What if AI Succeeds? Stuart Russell, author of some comprehensive texts on AI, talked a bit about the implications of AI succeeding, resonating Kurzweil, but suggesting a regulatory body in the government and building ethical intentionality into the functioning of robots. Robots is Where it’s Happening. 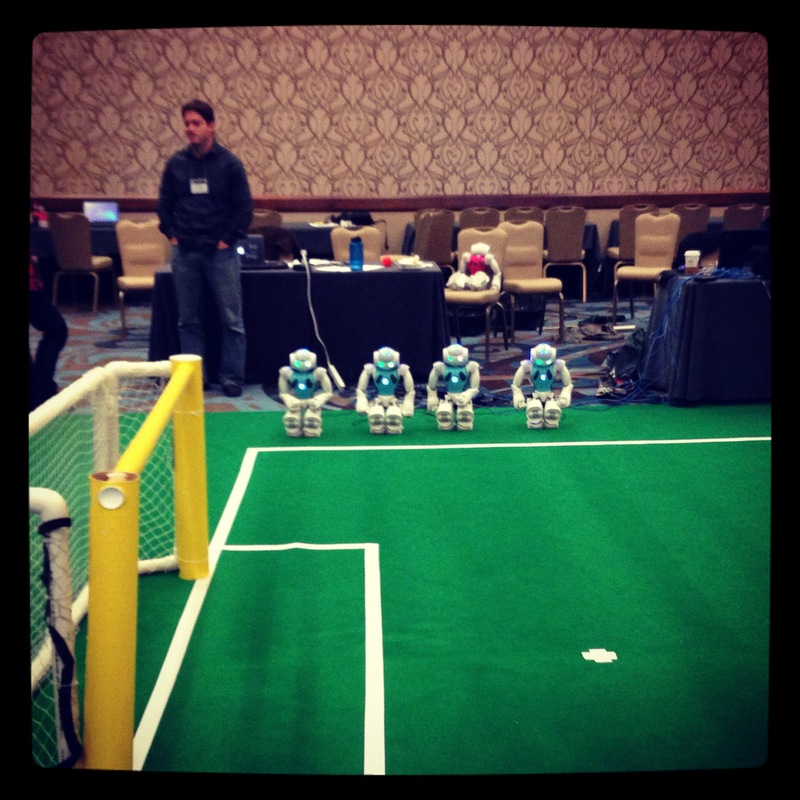 Honestly, the most interesting work here was in the realm of making robots more intelligent in uncertain environments. Things That Might Scare You. Well, what should not scare people is the idea of a sentient robot army taking over the world, much to the contradiction of some popular press… today’s AI is no where near nor even remotely resembles human reasoning (obvious to everyone here). On the other hand, there was one talk that suggested people do prefer robots-as-managers, with the author suggesting the next step would be to figure out how best to have robots manage people (egads). Watson is What Watson Does. IBM explicitly stated that they don’t really understand how Watson (a.k.a. the only non-human millionaire to win Jeopardy) really works. As in, they have no formal model or theory around it; they just created this aggregate system that exhibits better behavior than they can explain. Plea was made to have the academic community help.